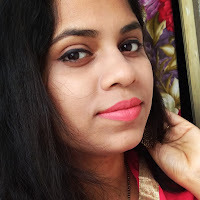 Applying Sunscreen is one of the most important step in our daily skincare regimen... One should never miss applying a good SPF sunscreen on regular basis just to avoid the harsh sun ray . There is a myth which settles in our mind that sunscreen is only requires during summer season which is absolutely wrong... We have to apply sunscreen throughout the year even in rainy season as well. 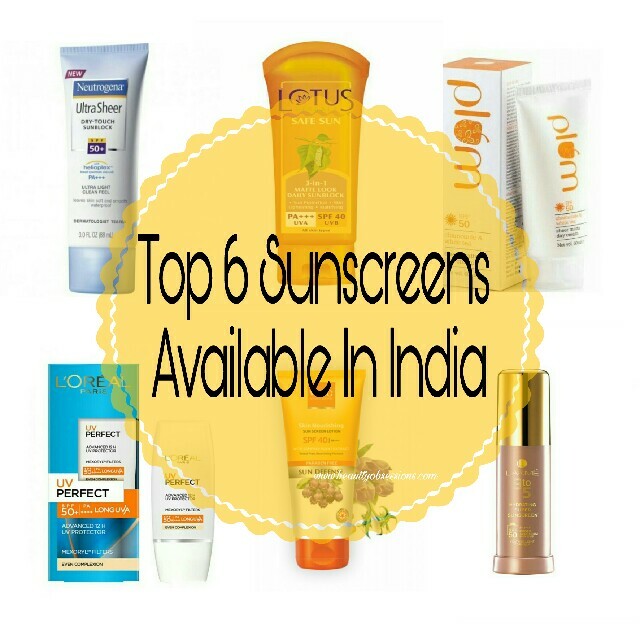 Sunscreens has SPF (Sun Protection Factor) which helps to protect our skin from harmful Ultra Violet (UV) rays... For Indian climate SPF30-40 is sufficient... Higher SPF won't work properly... And it has recommended that never go over SPF 75..
Price - Rs245/- for 50gm. Price - Rs499/- for 88gms. 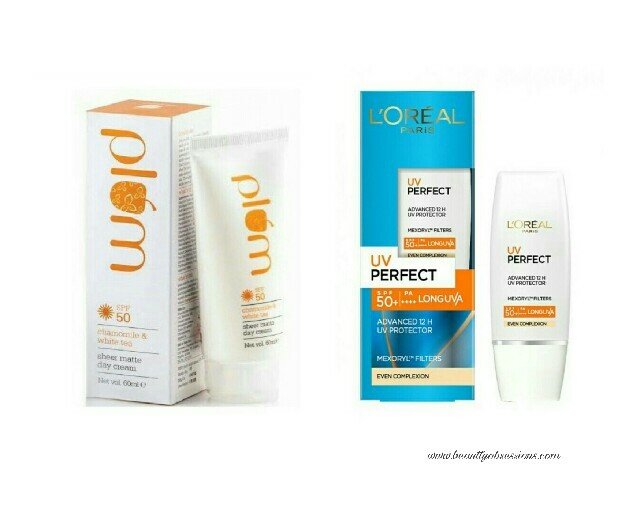 It is another best one in sunscreens.. 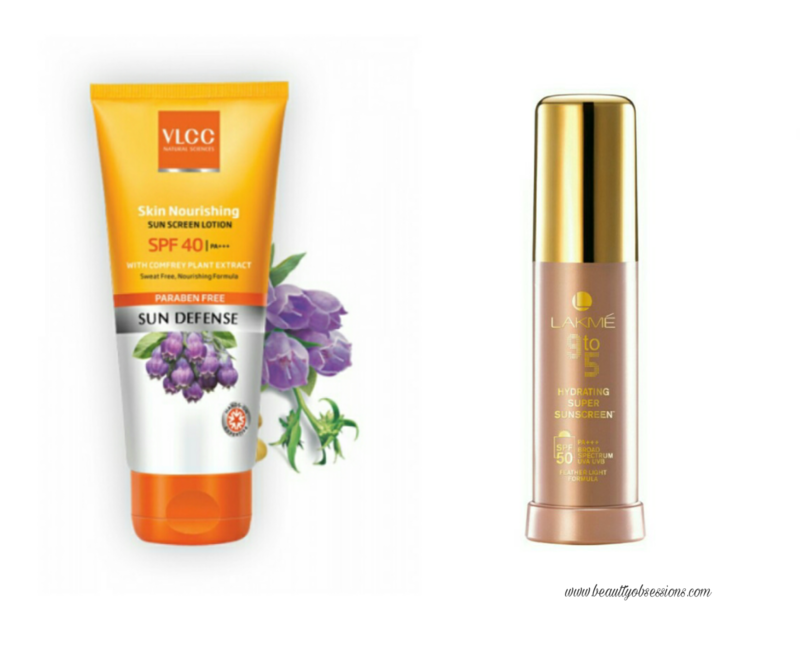 Plum is a wellknown brand in skincare products and this sunscreen is a hit .. It has Chamomile which soothes and calms skin during and after sun exposure. It has White tea which is rich of anti-oxidant . It has also Gingko Biloba and Olive leaf extracts which protects skin from radical damage. The sunscreen is very light weight and spreads on skin so smoothly and doesn't leave any white cast on face. It gives a nice matte finish look. And most important thing is, it is paraben and other harm chemicals free. Price - Rs520/- for 60gm. This sunscreen has such high SPF 50 which help skin from sun damaging and with that it also protect skin from pollution which makes skin dull and dry. It lasts long the whole day and keeps skin hydrated and rejuvenate for almost 12 hours as it claims. I must say it is a great buy for dry or very dry skin types. Price - Rs525/- for 30ml. VLCC sunscreen lotion has SPF 40 with PA+++ which is a blend of comfrey plant extracts and various other natural ingredients that protect skin from harmful UV rays. It has sweat free formula and is best for preventing tanning and sun burn. It is affordable and a best option for normal to combination skin. Price - Rs340/- for 100gm. It is my winter favourite sunscreen.. Its strong sun protection factor keeps my skin protected from UVA and UVB rays for around 6-7 hours easily and along with that it keeps hydrated my skin for a long hour.. It doesn't feel sticky or greasy at all. It spreads on skin evenly and absorbs quickly . It is very light weight on skin and I love it as a daily moisturiser in winter. 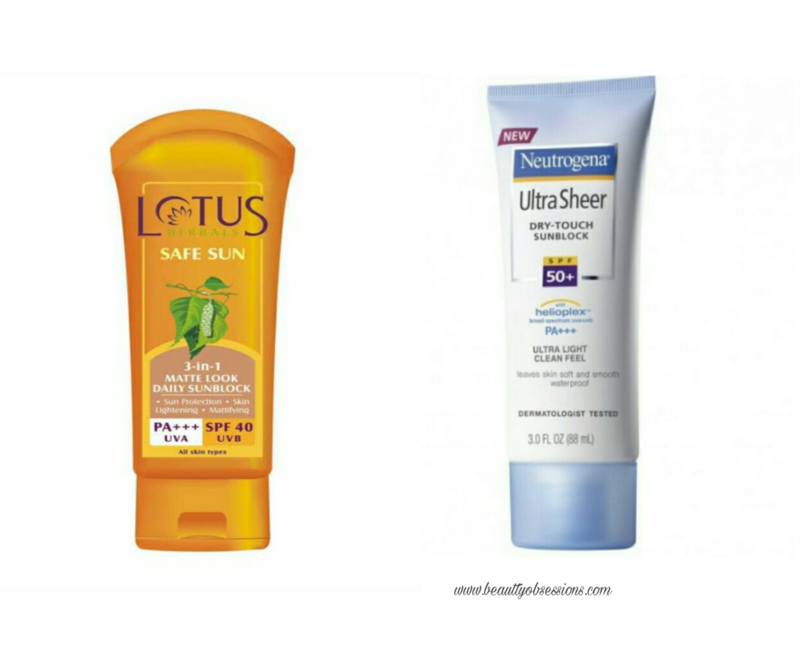 So these are my favourite sunscreens which I completely swear by.. Please share your favourite sunscreen in the comments below..
Nice informative post. 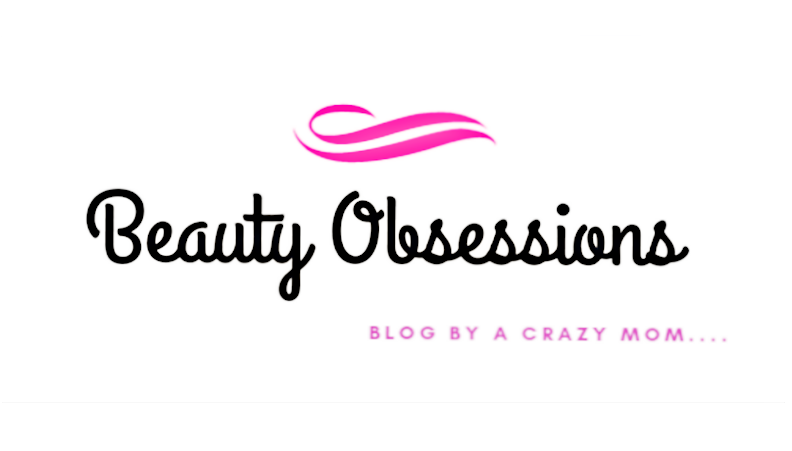 I have used before Lotus , Neutrogena and Loreal one. Thanks for sharing. Nice compilation. I love the Lotus one which I have been using since my collage days. Lotus gel is my favourite since the longest time. For a change would love to try the plum one. What a comprehensive post! Sunscreens are important and we should not miss it to apply it Everyday.